On March 18th and 19th, eight students from the Advanced Acting and Directing class competed in the Fullerton College High School Theater Festival. More than 60 schools and 2,000 participants took part in the annual event. This year's performance competitions included categories in musical theater, ensembles and monologues, theater games, and tech olympics - an 8-part competition composed of everything from quick costume changes to electrical wiring. 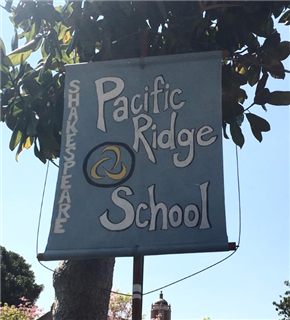 The Pacific Ridge group was one of the smallest in the competition, but that didn't stop the students from earning big recognition. A scene from Shakespeare's Othelloperformed by Oliver McClymonds '17 and Cosmo Cothran-Bray '16 was chosen out of nearly 100 scenes to compete in the final round.